In 2009 Dylan Parker’s life changed forever. In the wake of undergoing surgery to remove a golf-ball sized brain tumour he travelled to the World Paper Plane Championships to represent his country in the art of paper plane throwing. After scoring a 3rd world ranking at the championships Dylan returned home to a fanfare of curious family, friends and journalists. 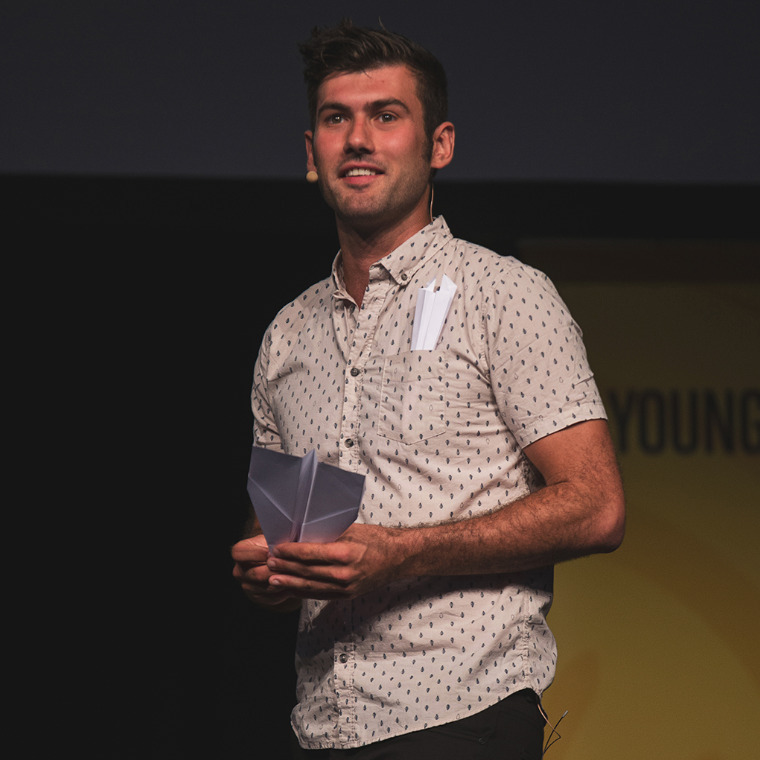 Subsequently his overwhelming passion for paper planes and telling his story lead him to co-found The Paper Pilots, a community partnership and Australia’s first professional paper plane sports team which travels to schools, community events and private engagements. Dylan has been featured on ABC’s Australian story in the episode ‘Come fly with me’ and is credited with inspiring world renowned Australian film-maker Robert Connolly (Balibo, The Bank) to develop the world’s first paper plane feature film. Dylan has been closely involved in the making of "PAPER PLANES", offering technical expertise, design skills and folding over five thousand paper planes during the production process. By telling his amazing story Dylan hopes he will be able to inspire people to explore the wonderful world of paper planes but also realise that anything is possible if you really want it! Check out our interview with Dylan on the Halogen blog.